Off plan. 2 bedroom 1st floor apartment in Germasogeia tourist area. Situated in the great area of Potamos Germasogias 14 minutes maximum walking distance to the sea, 10 minutes’ drive east of the town center and the same time being within easy access of the highway linking all major towns on the island. Will be constructed in 6500m2 land, surrounding with gardens with playground private road with roundabout and a big communal swimming pool. 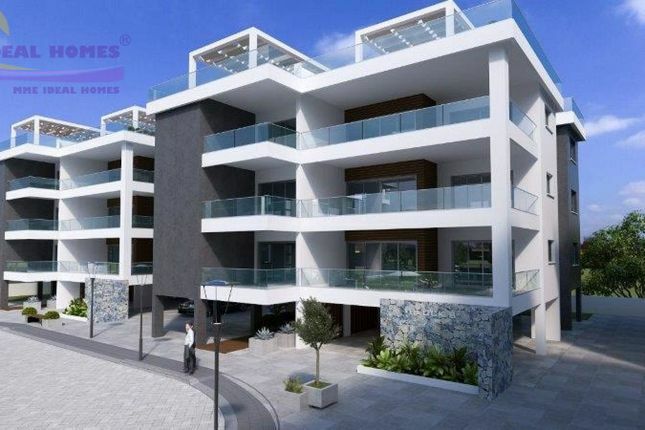 This luxury project will comprised of 6 blocks, 3 floors each block of 2 & 3 bedroom and whole –floor 3 bedroom flats. Roof garden is also available. Total 24 flats. All external doors and windows aluminum, charcoal grey color and double glazed windows.